Upcoming Events (UK) | Japan Underground | JPU Records Ltd.
Use our calendar to keep track of all the decent events happening within the UK that are related to alternative Japanese culture, entertainment and pop culture! All links will direct you to the respective news stories on our site about the events. 25th: BO NINGEN FOCUS Wales Music Festival, Wrexham. 26th: SCANDAL O2 Academy Islington, London. 1st: BO NINGEN Handmade Festival, O2 Academy 2, Leicester. 8th: Tokyo Tribe UK Theatrical release Cinemas across the UK. 13th: JAPAN UNDERGROUND: PASSEPIED, moumoon The Pipeline, London. 16th: JAPAN RISING: taffy, moumoon, PASSEPIED, Yosi Horikawa The Great Escape Festival, Brighton. 18th: MUCC O2 Academy Islington, London. 22nd: JPU Records @ MCM Expo London Comic Con Excel Centre, London. 23rd: JPU Records @ MCM Expo London Comic Con Excel Centre, London. 23rd: Crossfaith Slam Dunk Festival, Leeds. 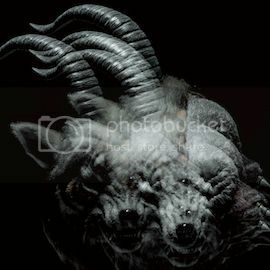 23rd: dir en grey O2 Academy Islington, London. 23rd: Kinoco Hotel Rhythm Factory, London. 24th: JPU Records @ MCM Expo London Comic Con Excel Centre, London. 24th: Crossfaith Slam Dunk Festival, Hatfield. 24th: dir en grey O2 Academy Islington, London. 25th: Crossfaith Slam Dunk Festival, Wolverhampton. 10th: Electric Eel Shock The Underworld, London. 17th: Electric Eel Shock The Cellar, Oxford. 26th: Electric Eel Shock Audio, Glasgow. 10th: JPU Records @ HYPER JAPAN The O2, London. 11th: JPU Records @ HYPER JAPAN The O2, London. 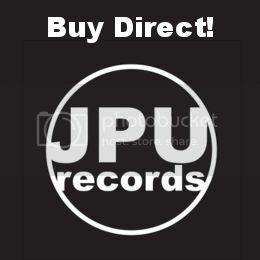 The events page is sponsored by JPU Records, the London based label releasing kick-arse CDs and MP3s from Japan. Here’s their ace act, SCANDAL! Who will also be playing London in 26th April.